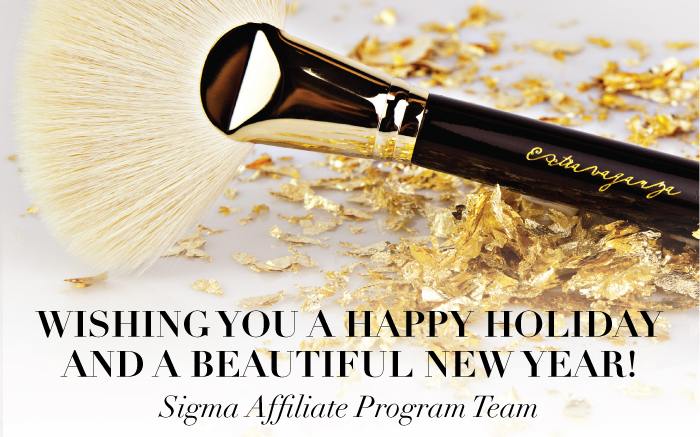 Sigma Beauty Affiliate Program: Happy Holiday's from the Affiliate Team! Happy Holiday's from the Affiliate Team! Thank you! Happy holidays everyone and have a successful new year!!! Please use for feedback and questions about the Sigma Beauty Affiliate Program. Comments are moderated and will be answered daily. Holiday Gift Guide Challenge Winner! Our Best Affiliates Tips of 2012!